The Parsley Dining Table is impressive, it has that wow factor that immediately draws you in and begs for a closer look. 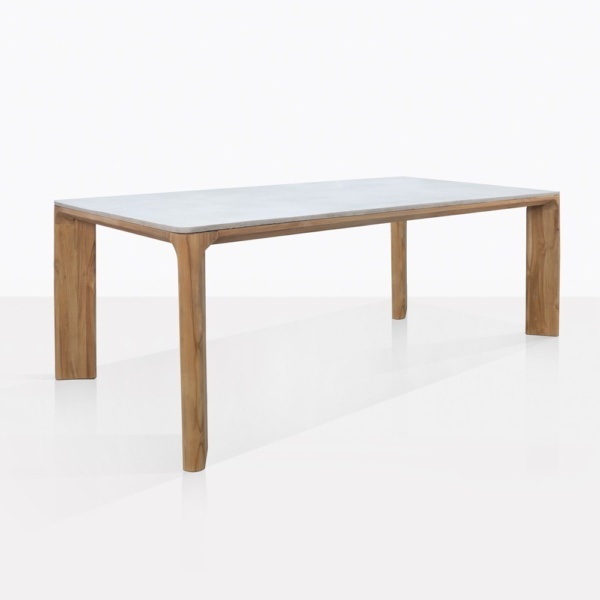 It mixes raw materials that complement each other and are the main reasons this table is so outstanding. The base of the table is made with raw a-grade teak, it is solid and sturdy. 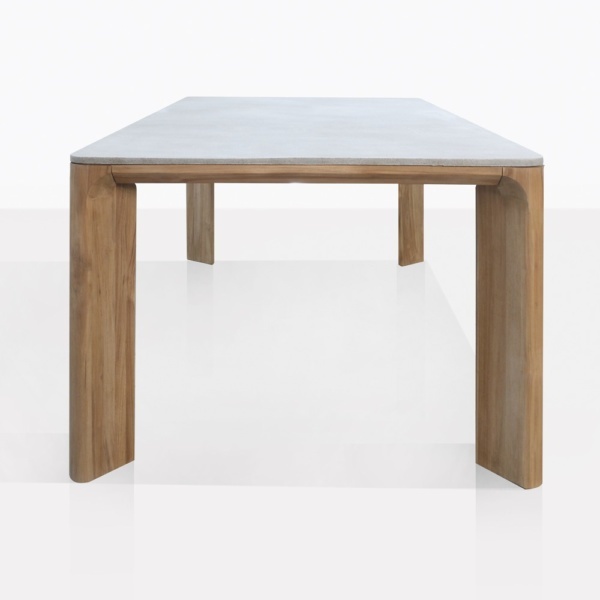 The legs are thick panels of teak that angle in towards the center of the table. The tabletop is a blend of concrete, fiberglass and resin. 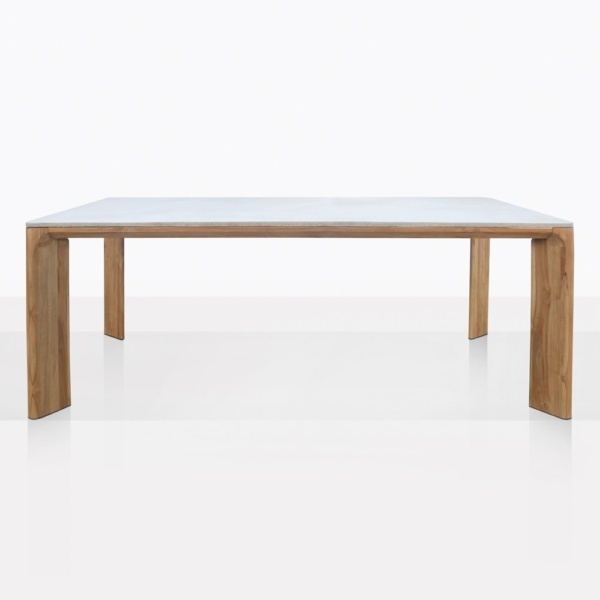 It has some texture but is mostly smooth, keeping it sleek and modern. 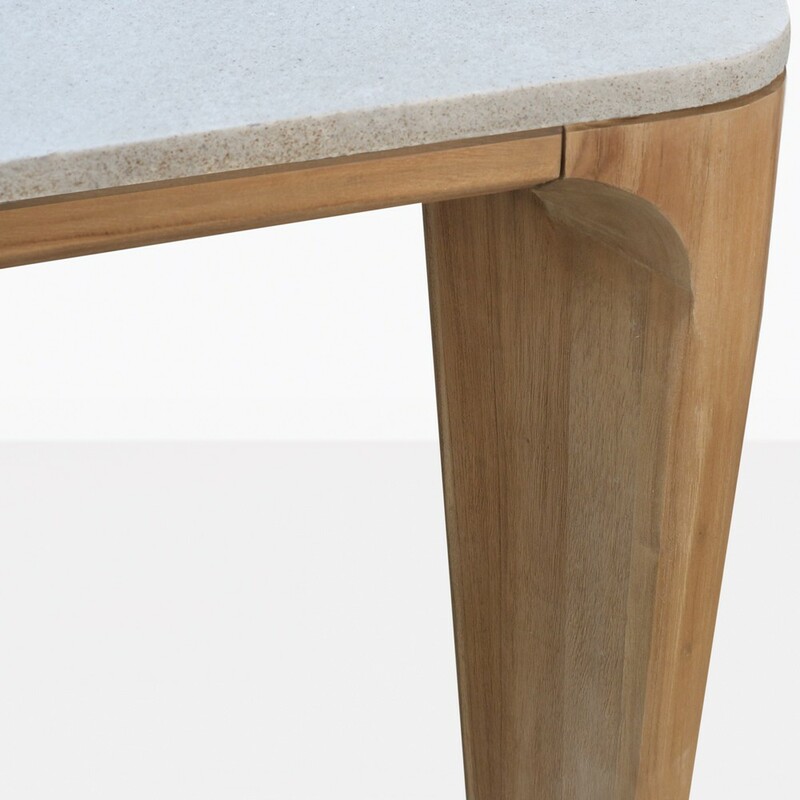 The Parsley Teak and Concrete Outdoor Dining Table is truly unique, and will take your outdoor dining space to the next level in style.